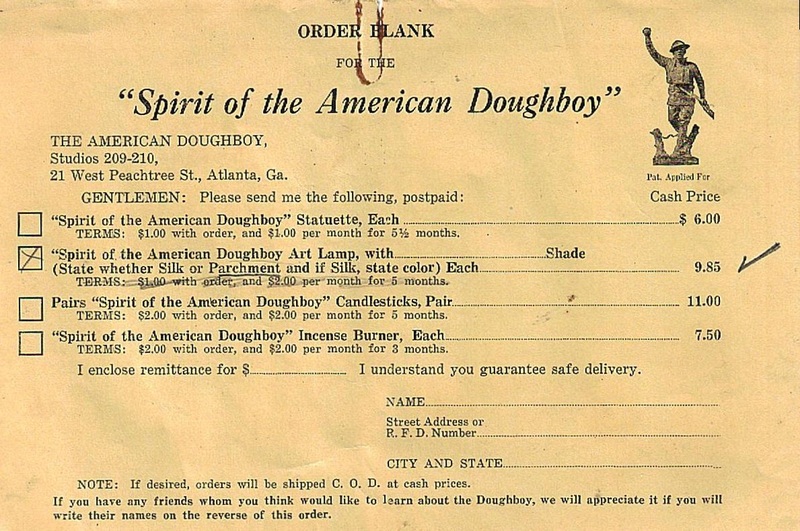 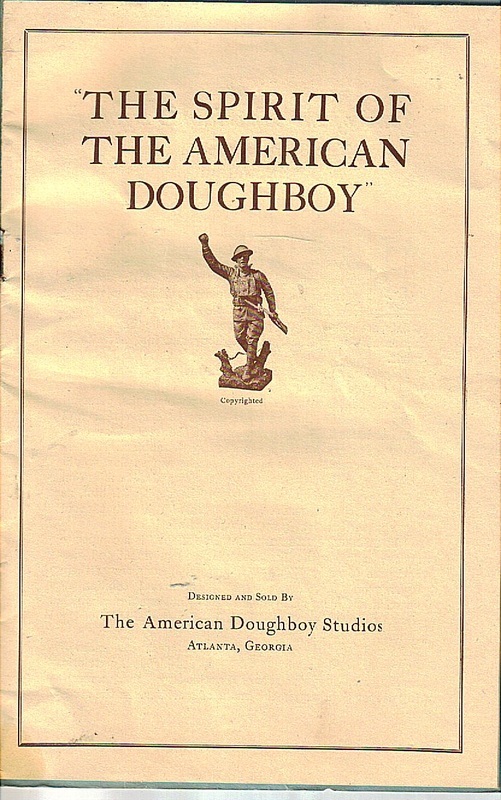 Doughboy brochure cover; click image to enlarge. 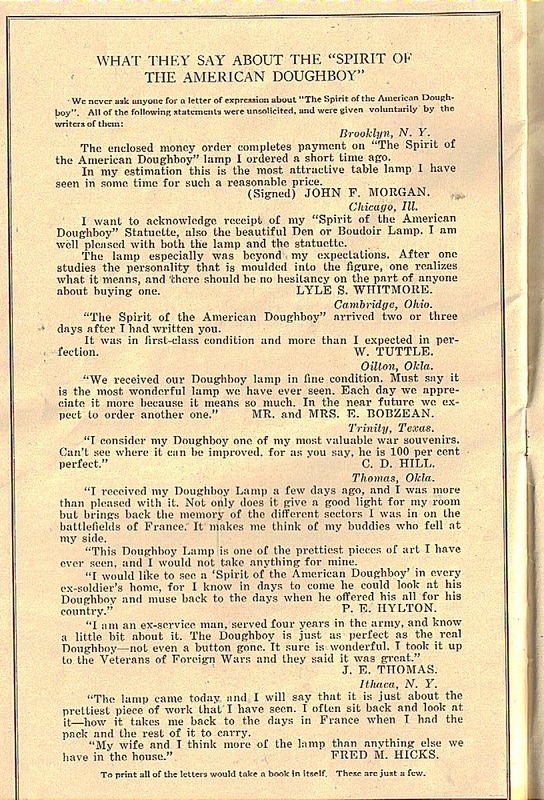 Once a prospective customer had sent in the coupon from one of his ads, Viquesney then sent a well-designed booklet or brochure further detailing and extolling the virtues of the product. 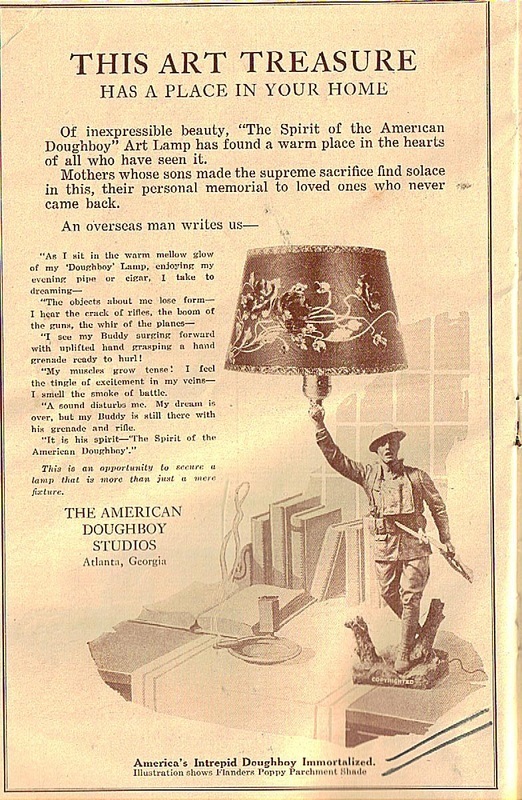 Presented here is the booklet and instructions that came with a Doughboy lamp. 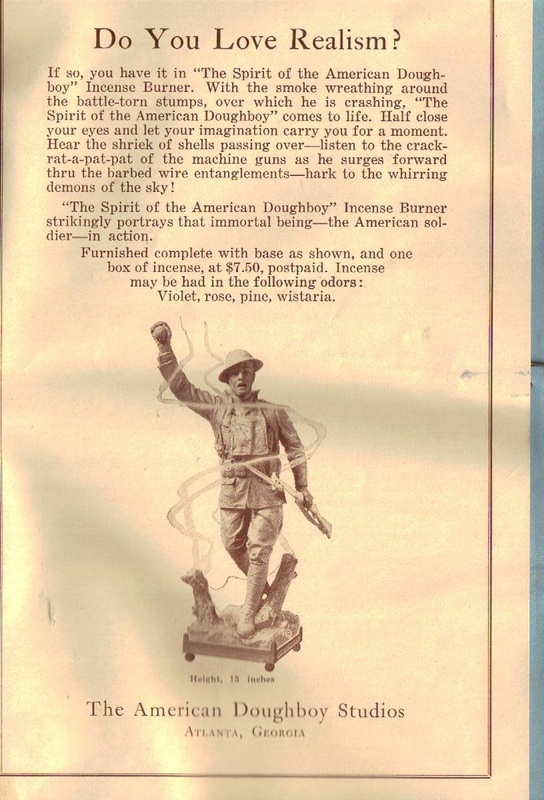 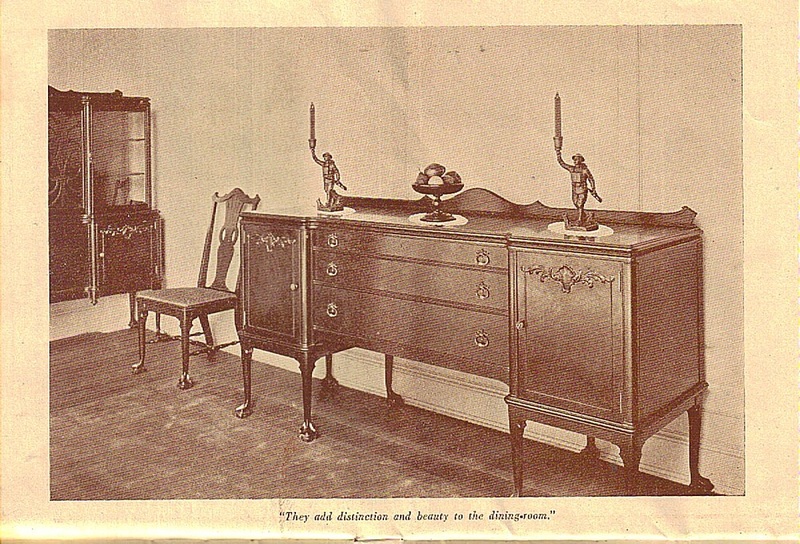 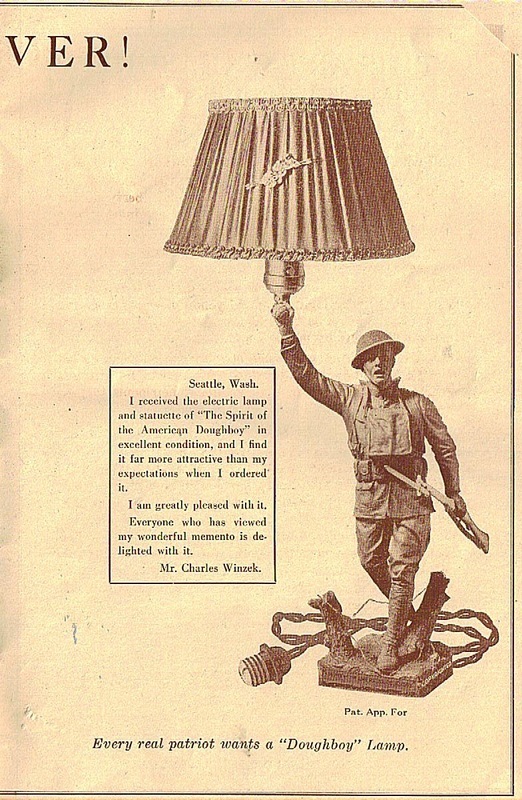 It's likely the same or similar booklet was provided to prospective purchasers of the other versions of the miniature Doughboy (the statuette, candlestick, and incense burner, all of which are shown in this brochure). 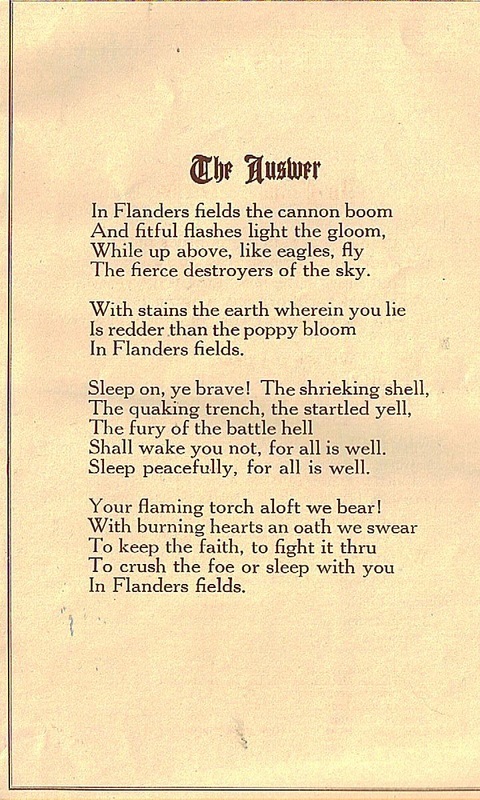 Click on any thumbnail image below to enlarge. 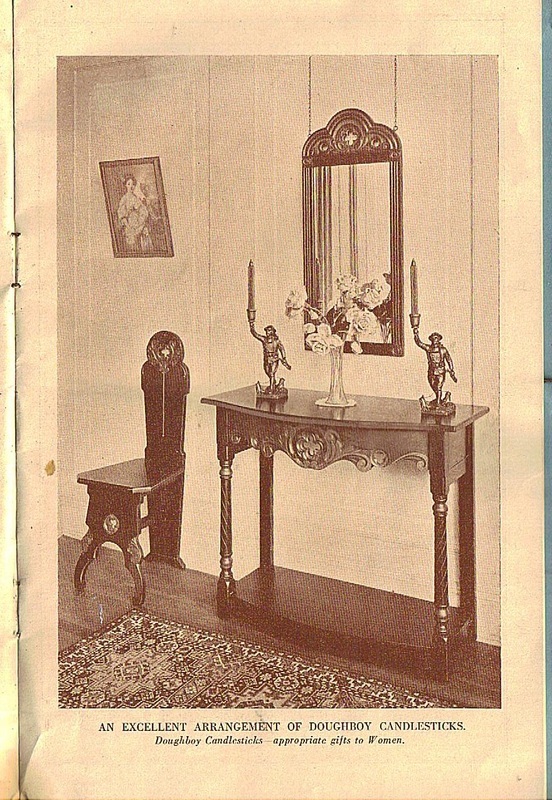 Click on any image on this page to enlarge. 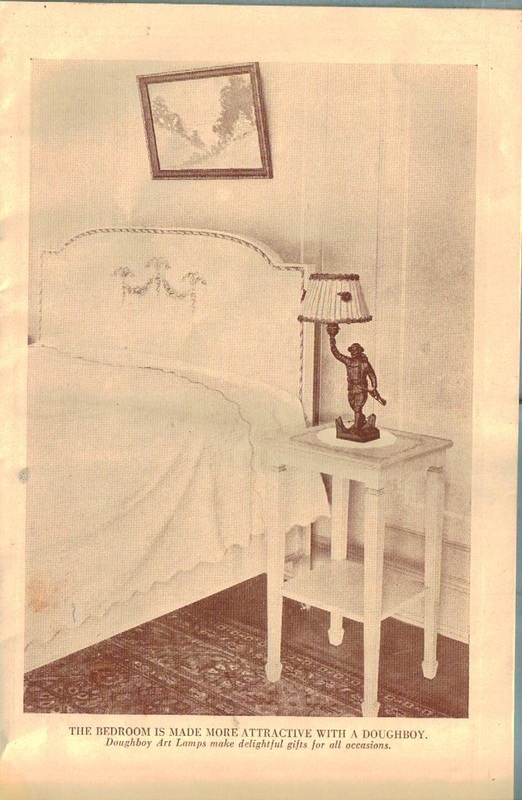 Our thanks to Buddy and Judy Parker of Hampton, Virginia, for this brochure. 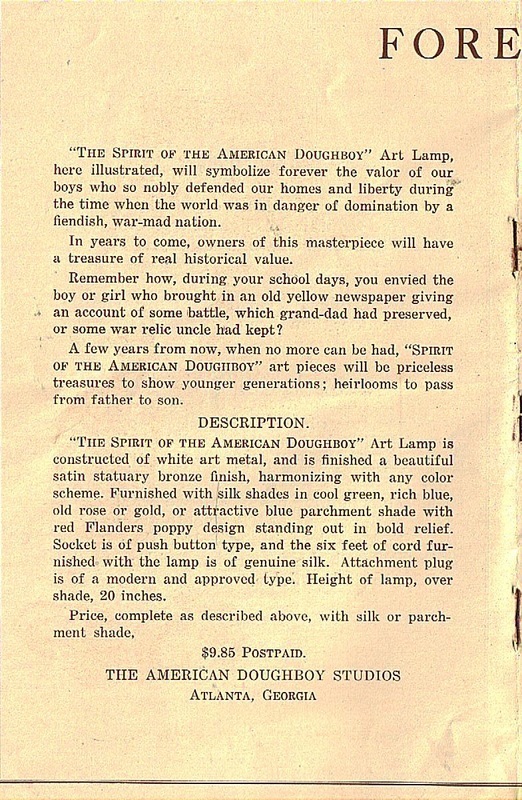 Buddy's grandfather ordered the lamp version, and kept all the sales literature, even a spare order form and return envelope. 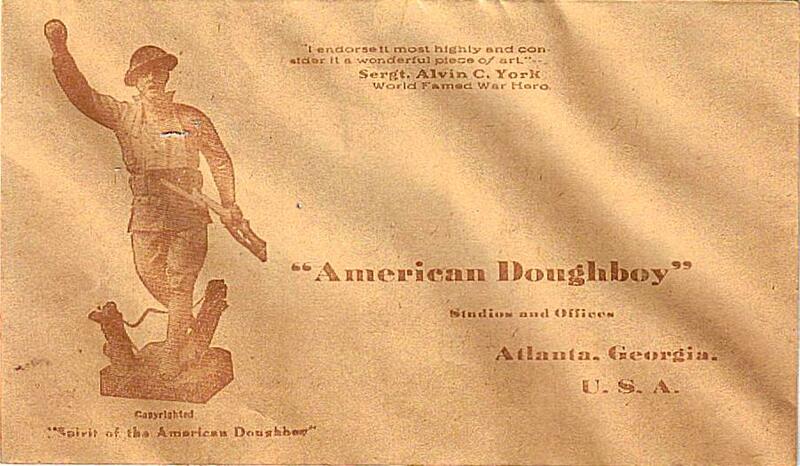 Despite its popularity, the miniature Doughboy suffered from a flaw regarding the left hand and rifle. 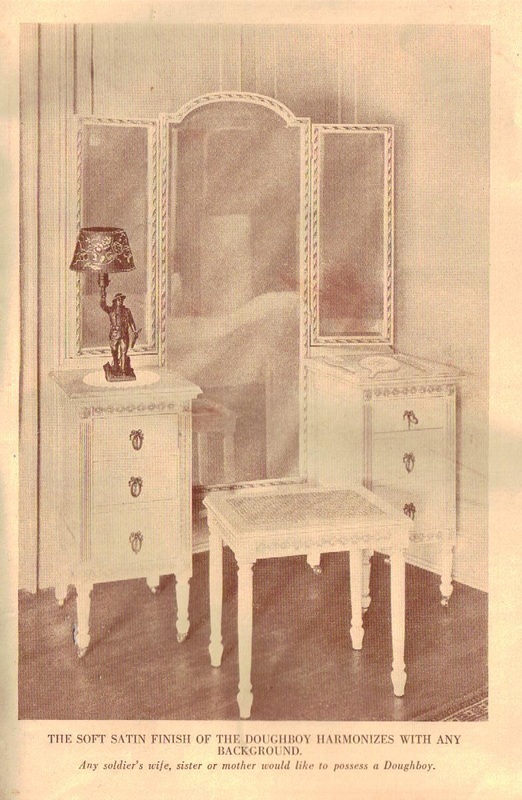 which were cast separately and had to be glued into place by the purchaser. 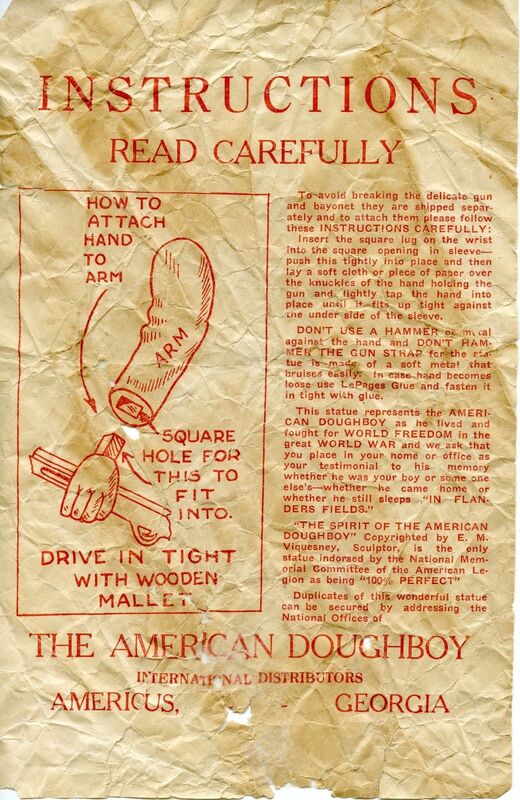 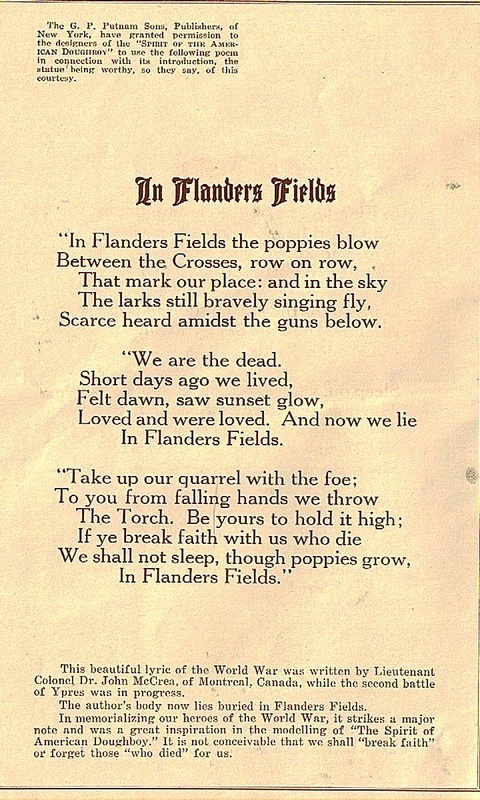 Over the years, the left hand would fall out, or the unreinforced bayonet would break off. 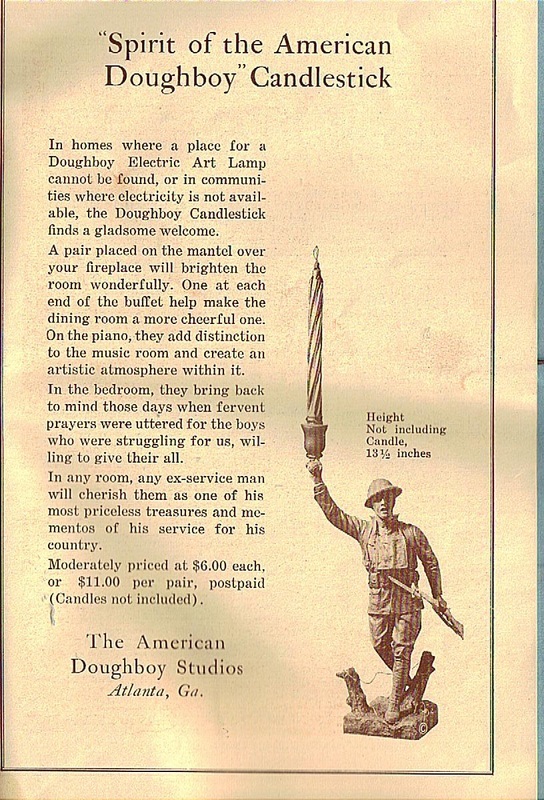 The result is that complete Doughboy statuettes and lamps are very rare. 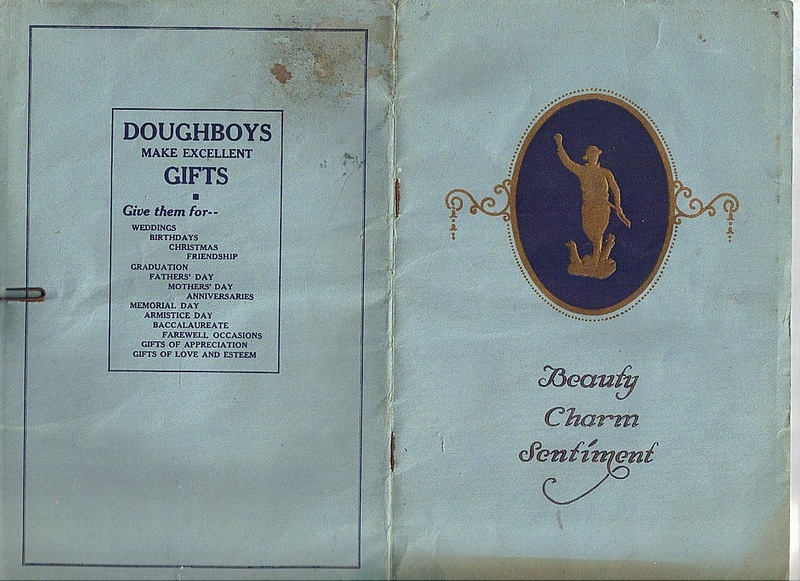 Each Doughboy miniature sold came with the instruction sheet at right. 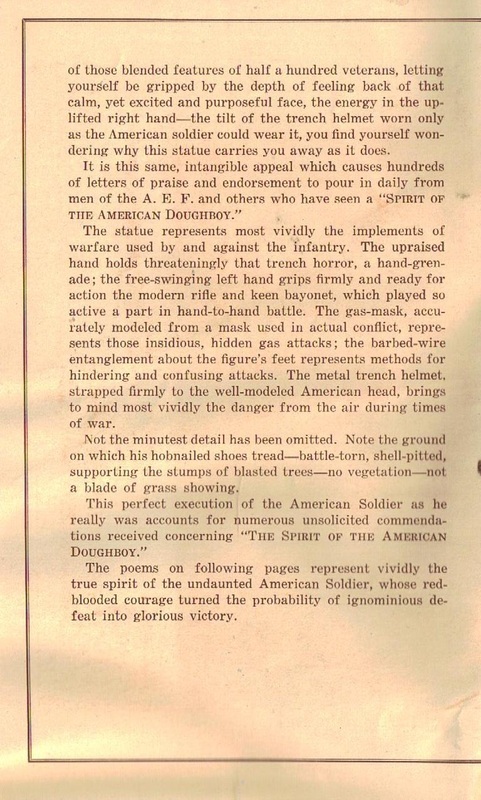 Virually admitting his statuette wasn't as durable as claimed ("imperishable" was the word used in some of his ads), the artist informed the buyer that the piece was made of soft, easily bruised "white metal" (a lead alloy). 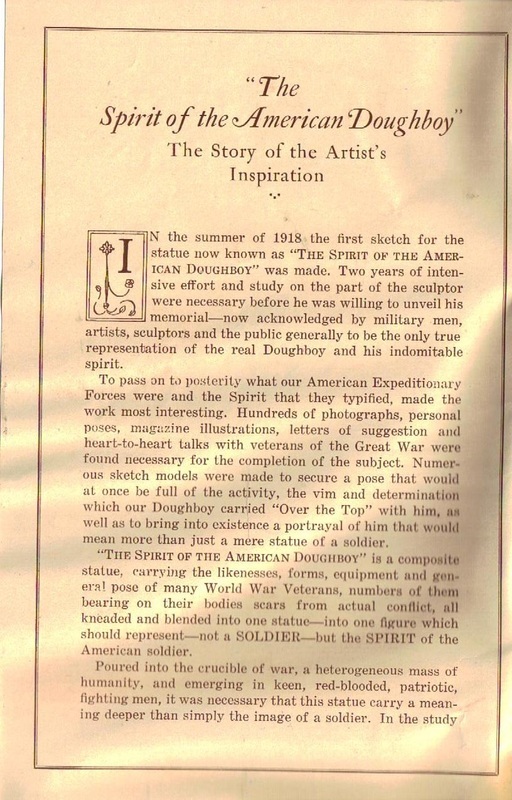 Ambiguous, or misleading wording in Viquesney's ads ("finish statuary bronze") often convinced many buyers they were purchasing a "bronze" statuette. 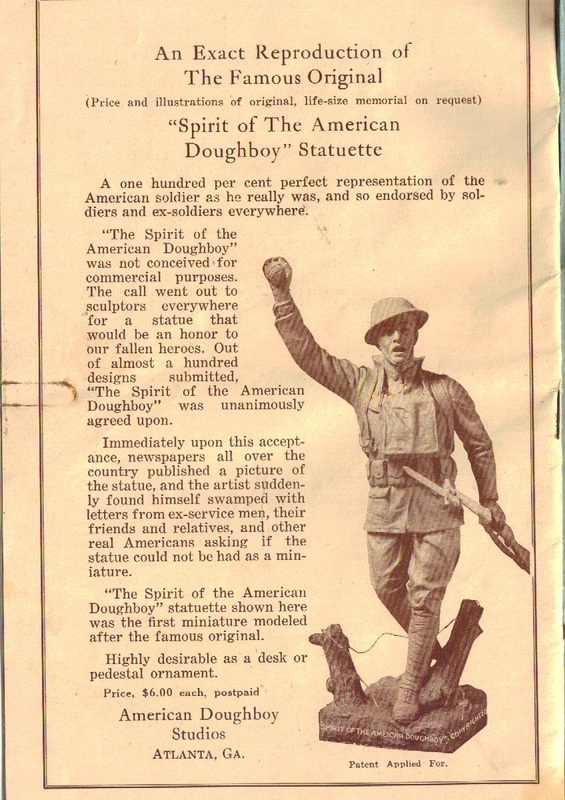 Despite these circumstances, the various versions of Viquesney's miniature Doughboy sold in the thousands throughout the 1920s and '30s.